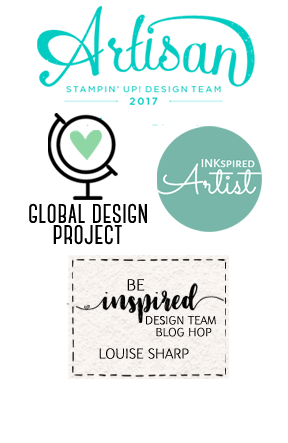 Louise Sharp: The perfect gift - A Stampin' Up! Gift Certificate! 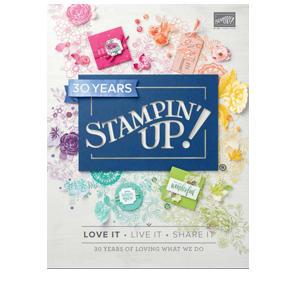 The perfect gift - A Stampin' Up! Gift Certificate! Do you have a huge wishlist? Or are you looking for the perfect gift this Christmas? 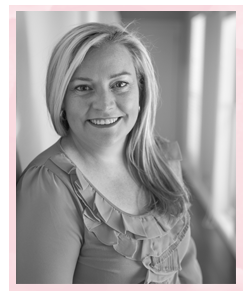 Why not be spoilt or spoil the crafty one you love with a Stampin' Up! Gift Certificate from me. All certificates come in a lovely handmade folder, ready to be gifted to that someone special. One can only imagine the excitement when receiving one of these! 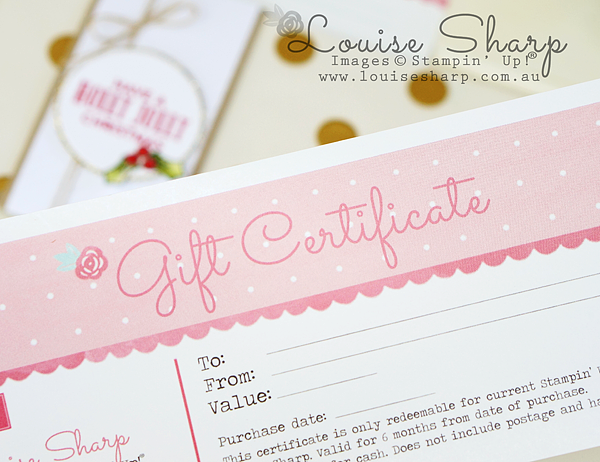 My gift certificates are only available to Australian residents. They are valid for 6 months and can be used on any current Stampin' Up! product. 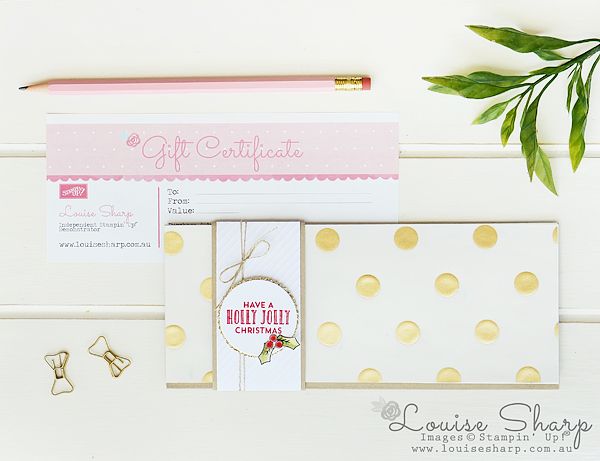 Gift certificates do not include postage and handling costs from Stampin' Up!. Please allow 7 business days to receive your certificate. Contact me via email with all the details. Please provide your name, recipient's name, value you would like to spend and postal address to send the certificate. Payment can be made via by bank deposit or Paypal.